Judy Graton of Tupper Lake passed away peacefully Friday February 16 in her home surrounded by her family and loved ones. She fought bravely against cancer for over 17 months, and never complained. Judy was born on July 12, 1954, the oldest of four children born to Edmond and Irene Mae (Mandigo) Duplantie. 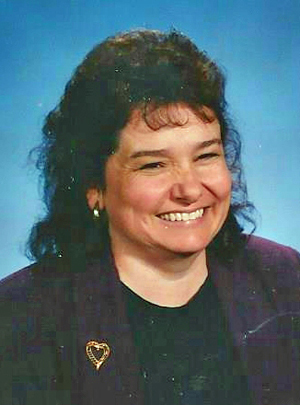 She attended Tupper Lake Central School, and graduated in 1972. She worked briefly as a beautician, then as a legal transcriptionist. Judy worked as a secretary for Tupper Lake High school for over 20 years, retiring in 2012. She loved all of the children she had contact with in her position at the school, and had a special place in her heart for those who were troubled. Judy married her husband, George in 1982 and loved to travel. She was fortunate to see many of the wonders in this country and also in Europe. She collected little mementos as reminders of the places she and her husband had been, displaying them proudly in her home. Judy was pre-deceased by her father and mother and is survived by her husband of 35 years, George, her son Jeremy Graton and his partner Valerie Seifert, her daughter Tenielle Gonzalez and son in law, Carlos Gonzalez. Three grandchildren, the light of her life, Gavin Jarvis, Elijah Gonzalez, and Liam Graton. She is also survived by her three sisters who lovingly cared for her when she needed them most: Tena Lanthier of Tupper Lake, Jamie Clinard of North Carolina, and Bonnie LaRose of Piercefield. She was dearly loved, and will be missed. Calling hours will take place at the Stuart-Fortune-Keough Funeral Home in Tupper Lake on Friday February 23, 2018 from 3p.m. to 6p.m. A funeral service will immediately follow at 6p.m. at the funeral home with Fr. Decker officiating. Family and friends wishing to remember Judy are asked to make memorial contributions to the American Cancer Society in care of the funeral home.